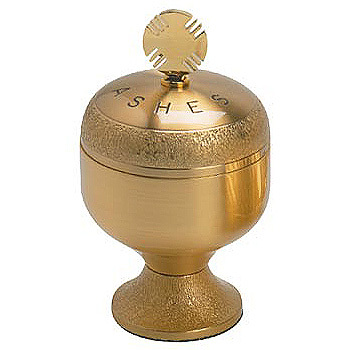 Satin gold plated ash holder engraved with "Ashes" on the lid. Threaded cover with plastic liner. Prices are subject to revision without notice from the manufacturer, please contact us to confirm current price.